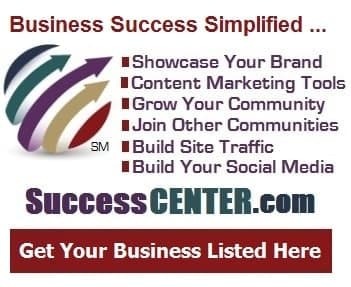 There are so many 'recipes for success.' One of them, a once popular book, now over 40 years old, was: "Dress for Success". Based on scientific research, its core advice was to "dress for the job you want, not the job you have." This came from the tendency (albeit subconscious) to judge others on external factors. One of those is the clothing they wear. Over the years though, I've discovered there is something we 'wear' that screams out much louder. It has a far more lasting impact than any form of apparel ever could. When we're stressed, and especially if/when we're not handling it well, everyone around us can tell! And, you know from your own experience, it's not pretty. not to mention our interactions with friends and family. In other words, when it comes to stress, what we 'wear' in our professional and personal lives matters! START WITH MINDFULNESS, to become more 'present' and to relieve stress. Get - and stay - focused on one thing or person: whatever or whoever it is you are with in this moment. Let that become your entire world. Your sole focus. Your one priority. Whether it's the most strategic or mundane task, let it have your full and undivided attention. If it's a person, regardless of their position or title, or yours, do the same. Listen to them as if nothing was more important. In fact, make it so. As you allow yourself to be fully 'here', focused in this moment, let everything else drop away. I've noticed an expression that a lot of younger people use. It's something my daughter has been saying (and living) for years. With calm and resolution, they'll assert: "That's for 'future me' to deal with." Feel the grounding effect of that. Notice the relief. Experience the clarity and the focus. It's empowering. Almost restful. Invigorating, because you can give this person, task or thing your entire devotion. Then, move to the next, and the next. It's a lighter load - not only for our current self, but for your 'future me' too! When you bring your best to 'now', your next 'then' is likely to go that much smoother! Next, ADD GRACE, which allows our humanness to shine. What does that mean? From the Latin root 'grata' or 'gratia' it means "a given gift." It's a gift we give to ourselves and to others. It's two more steps when we complete our de-stress for success - a simple practice with big results. The first step of grace is a mind-clearing deep breath and mini-relaxation. It's the next element of our "de-stress for success - a simple practice with big results", to reset and refresh. Long... lung-filling... deep-into-your-belly... shoulder-dropping... deep breath. Notice where you're holding tension. It could be in your face, your jaw or neck. Or, your shoulders or back or gut. Wherever it is, breathe into it, and let it relax. Give yourself some slack. Allow your feeling - that tension in that area - to take on a friendlier quality. Kinder, gentler, more curious and open, vs. tense and closed. Drop into that relaxation with a third, deep cleansing breath. Bring to mind whatever it is that is causing you stress. Maybe it's a feeling of overwhelm or burden. Feeling taxed. Fatigued. Just too plain busy. Now, choose a different lens, or perspective. Think different. 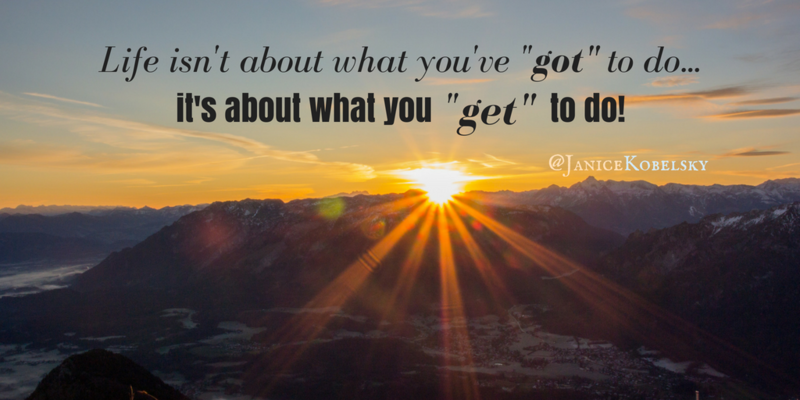 Move away from that feeling of stressful obligation of what you've 'got to do' and reframe it as what you 'get to do'. Notice the whole energy and attitude change that takes place. Observe, too, the greater sense of gratitude that comes in. When we do this, there's like a rush of genuine appreciation. We remind ourselves and acknowledge the privilege of the moment. Try it; and, discover the shift for yourself. Let go of everything else, for the moment. It's a core practice for great leadership and good living, too! I seek to create value in every encounter. Energizing people, possibilities and potential. 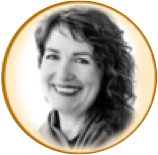 Janice Kobelsky Success and strategy coach, specializing in leadership development design and facilitation. And, let's #ThriveTOGETHER, too. I'm on SuccessCenter.com. Are you? Please take a moment and SHARE THIS POST - just tap on one of the buttons below. 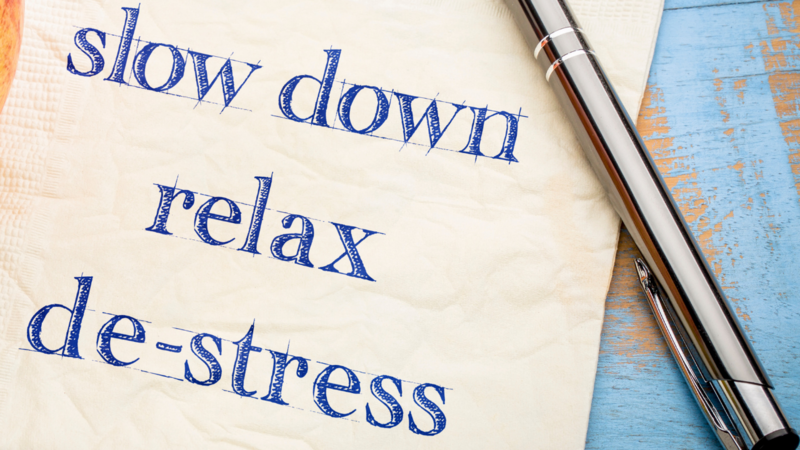 Let me know how you're applying the practice to DE-STRESS for SUCCESS!